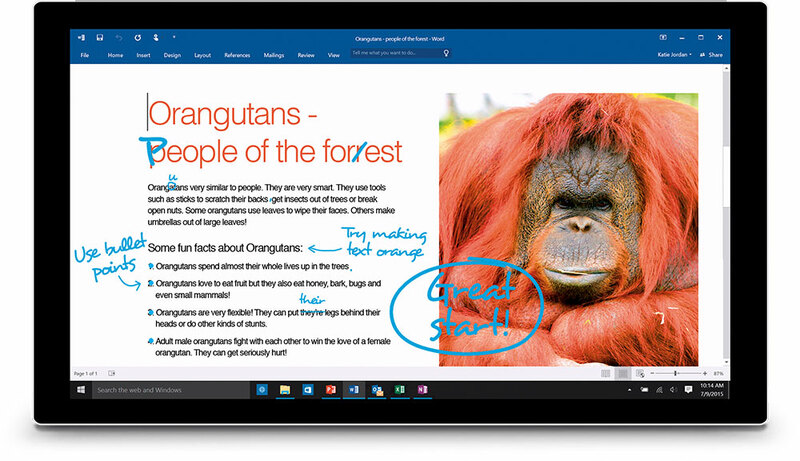 Office 365 has new and improved features to make your everday life easier. 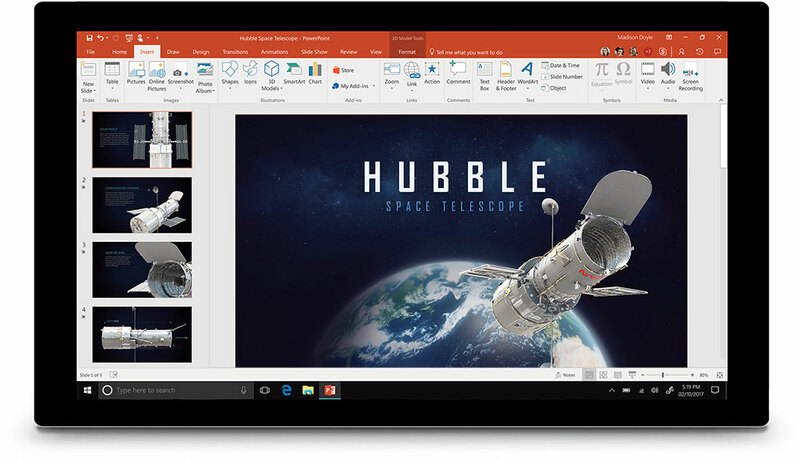 No matter the device, location, or application, Office has a way for you to work faster, smarter, and better. Bring your presentations to life with the new 3D features in PowerPoint. With PowerPoint Designer you’ll be creating presentations like a pro in minutes. The Morph feature adds fluid motion to slide transitions. QuickStarter jump starts your presentation with suggested sections, talking points and even imagery. Keep your photos and files safe. OneDrive keeps your files and photos safe and accessible wherever you are. 1TB of storage gives you space to backup and store your important photos and more. 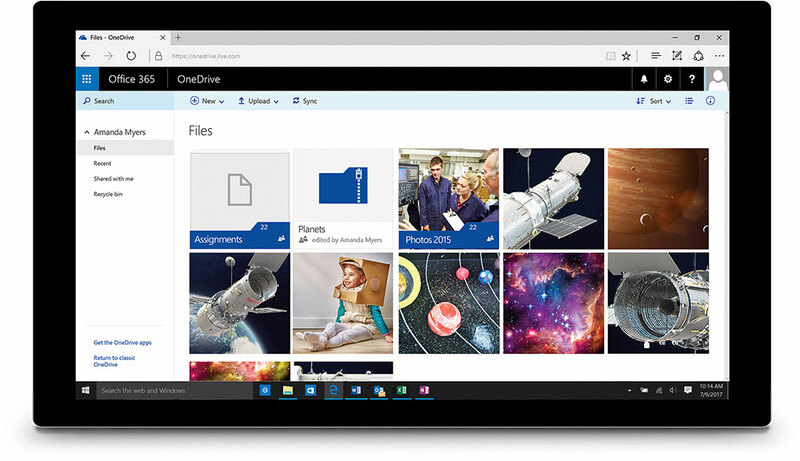 OneDrive makes sharing your files easy. You can work on the same document with your friends from any device. Mark up homework and more. Inking gives you the ability to review your child’s writing directly in Word and mark up edits with your pen. Word Researcher allows you and your child to research and add citations from reliable sources. Makes maths easy with handwritten equation conversion using the Maths Assistant. Holiday planning made surprisingly easy. 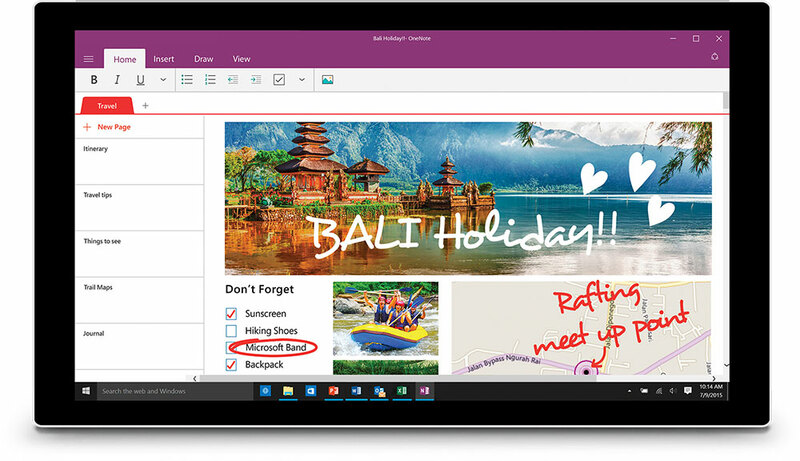 Suggest holiday ideas, clip images from the web and share in real time using OneNote. Use Excel to make your holiday budget and share with your family. Impress your friends with a post holiday album using PowerPoint Designer. We've got your back. 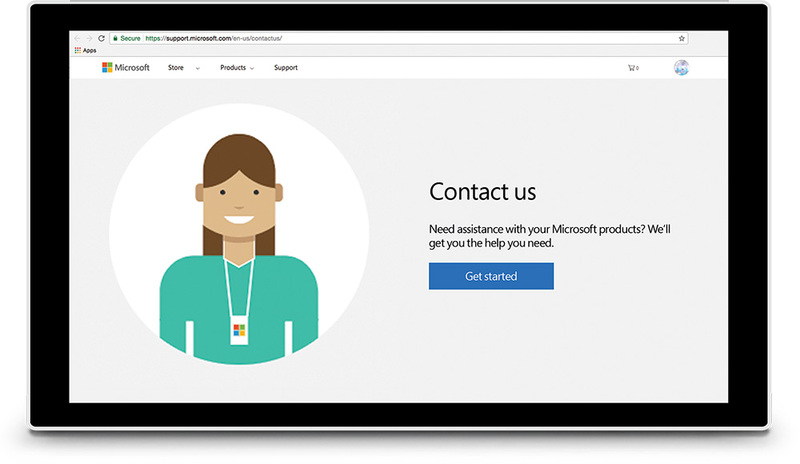 With Microsoft Technical Support. Tell Me is a powerful new feature that gives you instant help and guidance with all the Office apps and features. Get free online training readily available from the home page of your registered account. 24/7 technical support is available both by phone and by chat so you’ll never be left in the lurch.